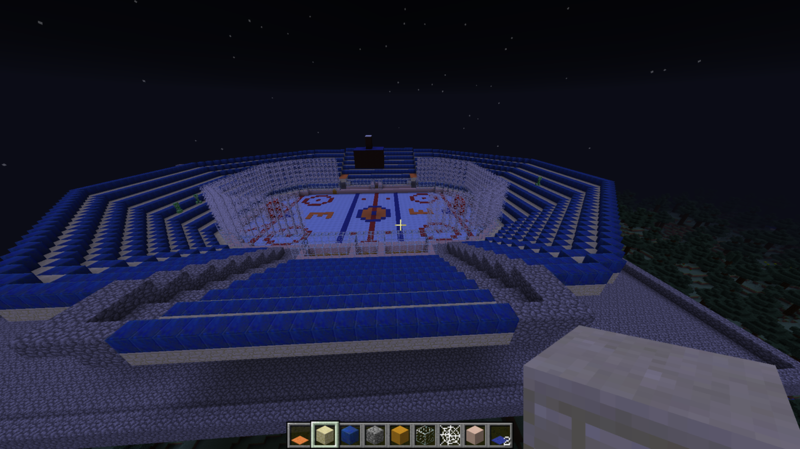 I have almost finished the stands, although the entrance tunnels for players and fans aren't done. 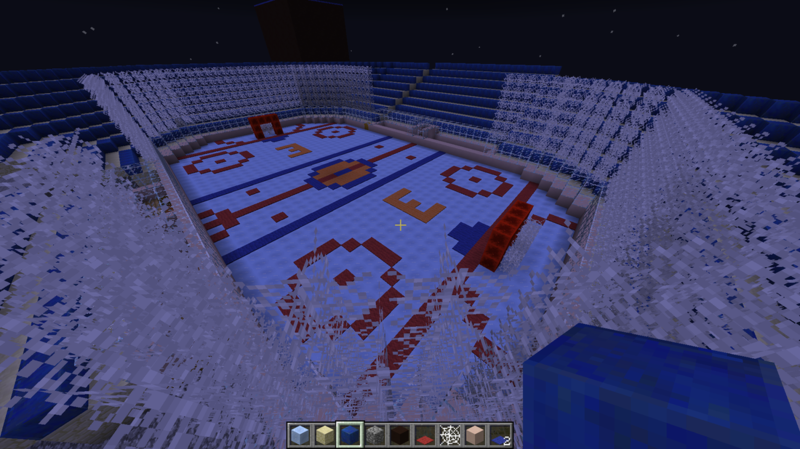 I started rounding the stadium. Kamrin is making the stairs to get to your seats. I finished the netting and did the JumboTron. 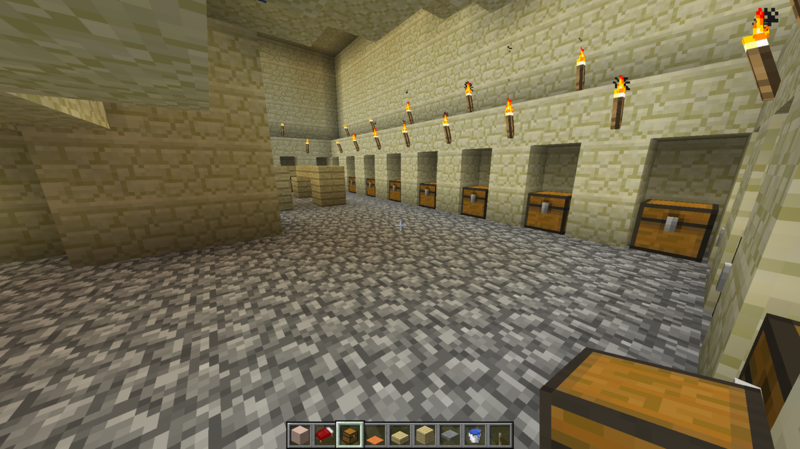 Kamrin finished some of the stands. 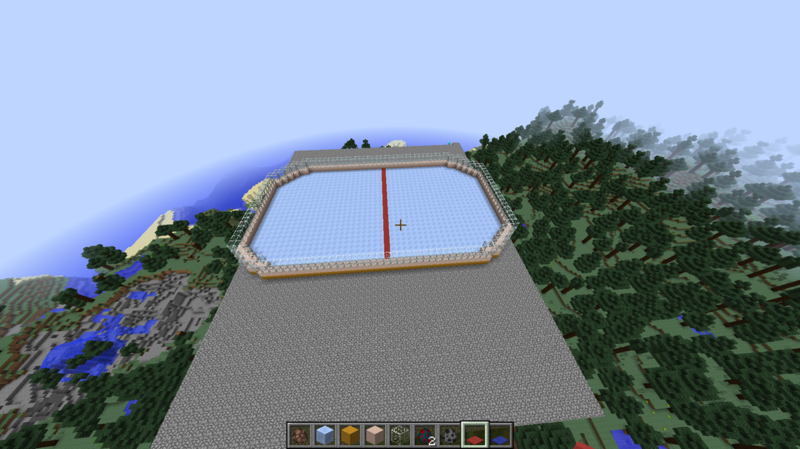 Tomorrow we will make the stands into corners and do the roof and maybe Lockerooms. 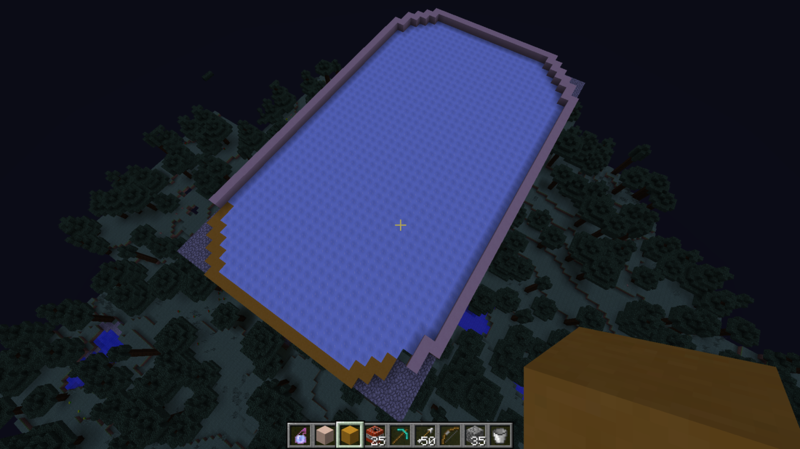 Kamrin is building the stand with sandstone and a blue material that is kinda shiny. 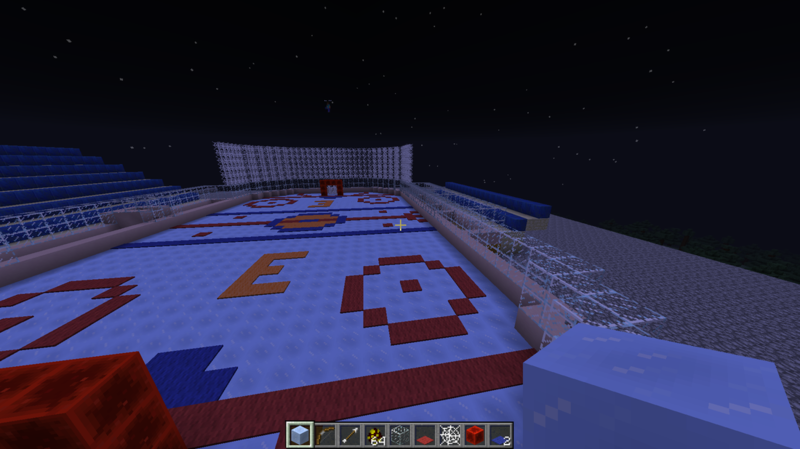 I built the netting and nets today and soon will be building the lockerooms and jumbotron. 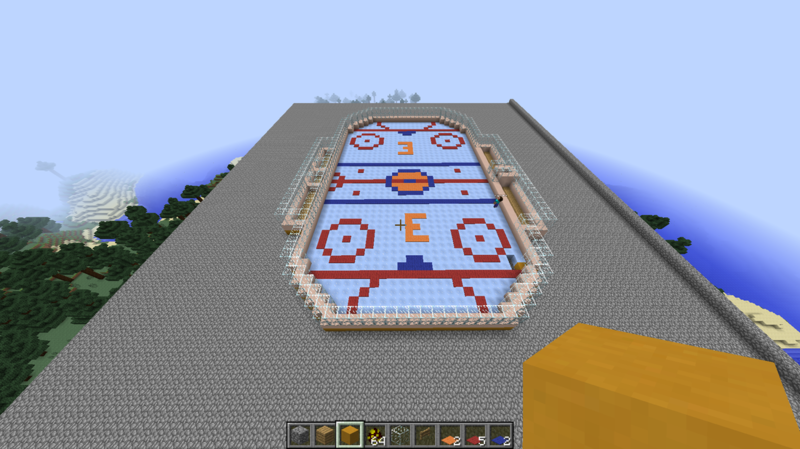 We finished the rink, penalty box and benches. Now we're going to build the stands. We also put 2 "E's" for evanston. Kamrin is laying the base for the stands. I am designing the lines. We are putting down our glass and the lines. 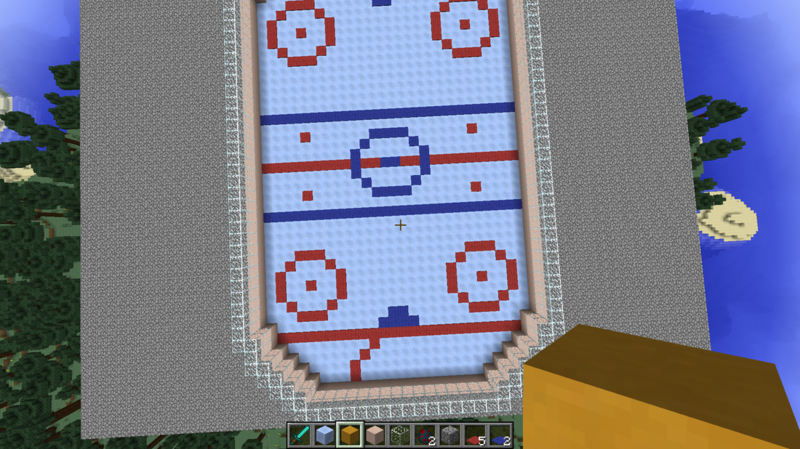 We filled it with ice and started the boards, tomorrow we will put the lines and dots down. I play Hockey and Baseball, and root for the Cardinals and Blues.